The world is changing, and with it, various spheres of our life are developing. Technical support services are no exception. In the age of social networking, helping clients and answering their questions directly on Facebook or via other means of Social Media Support (SMS) is the order of the day. 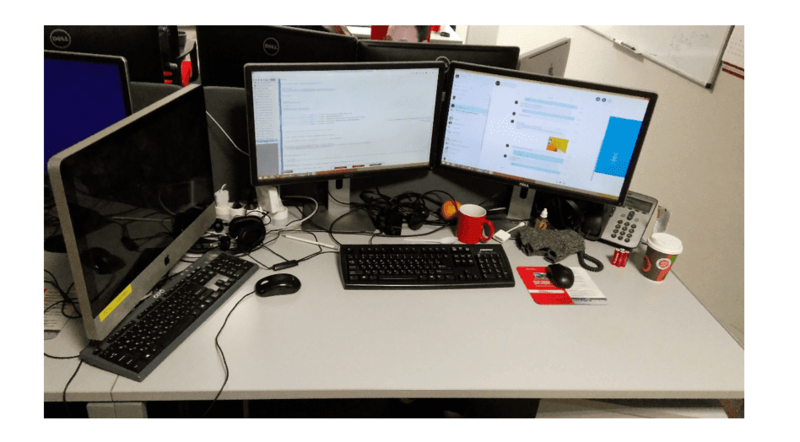 My name is Maria, a former technical support engineer and a present-day senior engineer for Social Media Support at Parallels and I would like to share some facts about Social Media Support today. Despite the obvious similarities between conventional support and SMS, it is important to remember that SMS has its own characteristics, and you should keep the following differences between conventional support and SMS in mind when creating your support dream team. The first and perhaps main difference between conventional support and SMS is the language. Regardless of whether you talk to your customers in Russian or in English, your style will change. When it comes to SMS, formal language is replaced by an informal manner of speaking. Of course, abbreviations should be used only when they are really needed. An example would be when you need to keep your tweet under 140 characters. Unlike Twitter, forums and Facebook let us write full words, but the style of communication is noticeably different. Thus, “Hey” or “Hi there” is often used instead of the usual “Hello. Thank you for contacting Customer Support.” You can also add “I mean …” to explain yourself in a post, or ask a user for something by saying “We’d need more details on this” to get some additional information about the issue at hand. 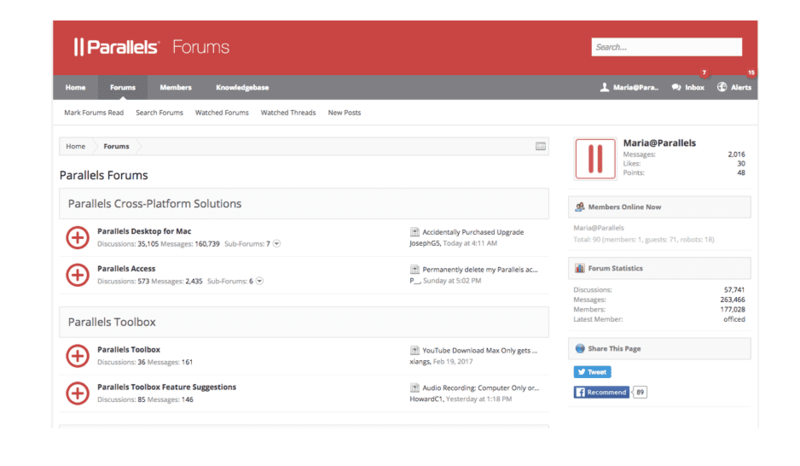 Asking a customer if their issue has been successfully resolved is also much easier in a forum: engineers can ask users “Does it work OK now?”, for example. This informal style is dictated by the users themselves, and there is no getting away from it. Answering a cheerful, smiley-littered question with “Thank you for contacting us. Please try these steps as a potential solution and let us know how it goes. …… Also, verify these settings and provide us with the steps to reproduce the issue if it doesn’t help” would be not only irrelevant but also time consuming. Another thing that sets SMS apart from conventional support is helping customers with their expired licenses or their questions about other applications. In a conventional support ticket, you can explain that a version is no longer supported or that an issue is related to a different application, and then just close the ticket. (You give the customer a couple of links regarding how to fix or update the application without wasting any time.) On social networks, on the other hand, in addition to noting that an issue is caused by another, incorrect application, we try to come up with a solution that is likely to help our customer. Moreover, telling someone with an end-of-life version in a forum that we cannot help them because something is no longer updated, fixed, or supported would be just impolite, wrong, and/or against our work ethic. SMS is an official channel that does a lot of informal things in addition to official work. Therefore, when dealing with such a question, you should try to not only describe the features of a new version, but also do your best to help the customer find a solution. Therefore, to find out what is happening to a customer we, as technical support engineers on social networks, need to not only ask many short follow-up questions, but also occasionally come up with solutions that may be useful only under certain circumstances. This helps us to understand what’s gone wrong, under what circumstances, and who or what is to blame. This doesn’t mean, however, that we take shots in the dark or merely check boxes. We think, reason, test, and try to reconstruct an issue within the shortest time possible and think of something that will come in handy for the customer, after which everything will ideally work just fine. By using the right monitoring tools, you might see that the customer has previously contacted support, and you can have a solution ready (maybe one you have used before) when you hear “it’s not working again” one more time. 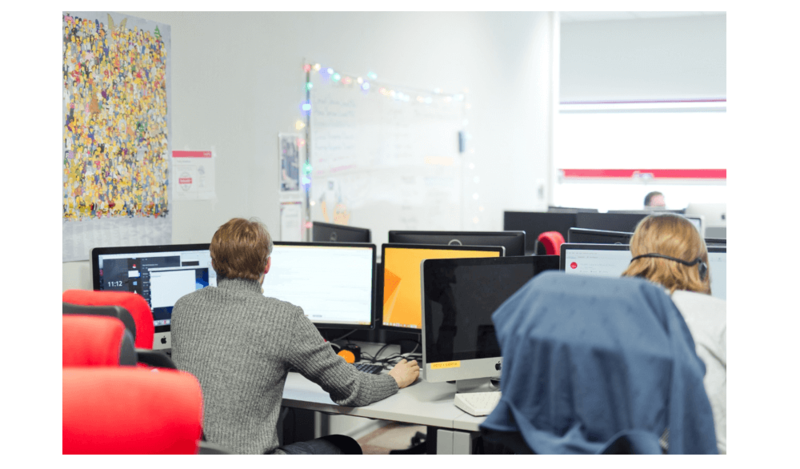 With any support, an engineer must answer a user within a certain time frame, call in a timely manner to start a remote session or just a good old telephone conversation, and resolve the issue at hand. What sets SMS apart is that the timeframe is much more condensed. As a general rule, a message should be replied to within 30 to 40 minutes. Of course, the time to reply depends not only on what must be delivered, but also on the complexity of an issue, the competence of the engineers, whether the user has provided a detailed description of the issue, and many other factors. On average, a Facebook reply takes 24 hours, and a Twitter response takes about 11 hours. However there is also other evidence to suggest that a customer generally gets a reply on Twitter within 20 minutes and on Facebook within 30 to 40 minutes. Customer expectations are also varied: some customers think they should get a Twitter reply within five minutes after their tweet; other customers say that a reply within an hour or two is acceptable. Perhaps it’s all about the complexity and urgency of an issue, and perhaps it hinges on how busy the customer is. Various options are possible, but timing will always be timing, and no two support options are alike. In any case, you should not forget that in both conventional and social media support, resolving an issue with just one reply is valued very highly. Some people believe that only beginners ask support questions via social networks and that most of the questions are therefore simple. But now that there is a tendency for active development of social media, not only has the number of questions increased, they have also become more complex. Of course, a lot depends on the company’s product, and this is just one piece of the puzzle. In practice, I have personally witnessed quite a few questions from experienced system administrators. The things that distinguish conventional support from the newer social media support are neither good nor bad; each distinction can be viewed positively for any kind of technical support. Users simply choose the option that works best for them: either completing a support ticket or writing about a non-working program on Facebook or Twitter. Perhaps as SM support continues to develop and more tools emerge for engineers, SM support will come to the fore and the number of tickets issued will decrease. We will cross that bridge when we come to it. Click here to reach our social media support. 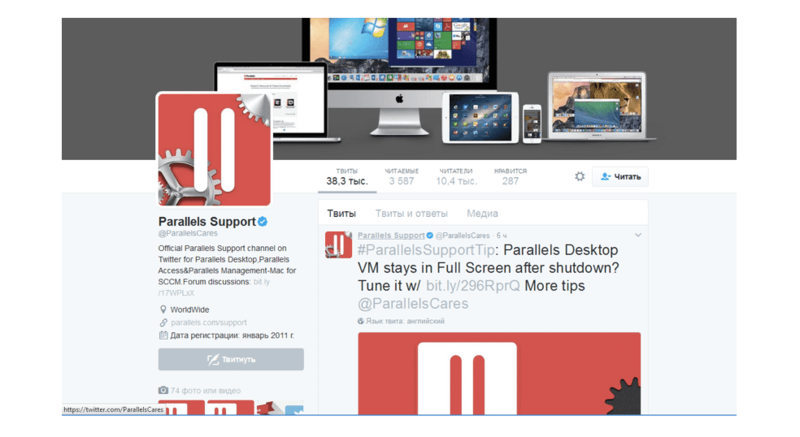 Update to Parallels Toolbox for Mac just released!